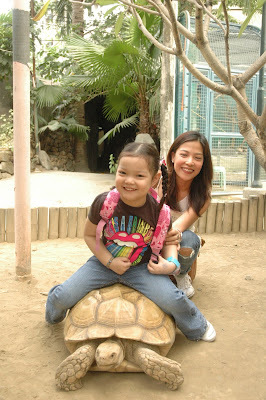 The last time I was in Manila Zoo was when I was around 7 years old, on a school field trip. I haven't been back since then because of the horrendous condition I knew it was in. Lately though, I have been hearing a lot about the "improvements" done to the place, so I decided to take my daughter as an alternative to another disappointment, The Manila Ocean Park (a really tiny water park with expensive entrance fees and not much else to offer, but 100 times cleaner than Manila Zoo, okay to visit once, but after 4 times it feels like you're throwing your money away in the wind). 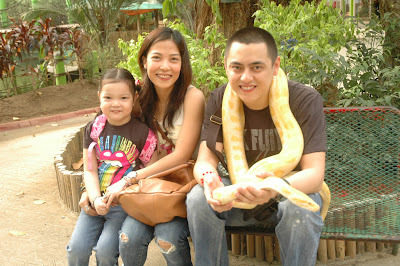 I don't intend to sound like a snob but the area Manila Zoo is located in isn't the best of all areas found in Manila. I think it is one of the more forgotten locations. Being a stranger to the place for more than twenty years, I wasn't expecting much of a crowd when I got there because this zoo has been unpopular in my circle for years. I was surprised and disappointed when I saw the crowd trying to get into the zoo. There were a lot of people! Maybe not such a good decision on my part to go on a Sunday afternoon...But despite the cue we got it in fairly quick. My husband said I was totally naive for thinking the crowd would be sparse. Entrance for adults is P40 and kids below 4 feet get in for only P20. A real bargain compared to Ark of Avilon's (in Tiendesita's) P400* entrance fee. 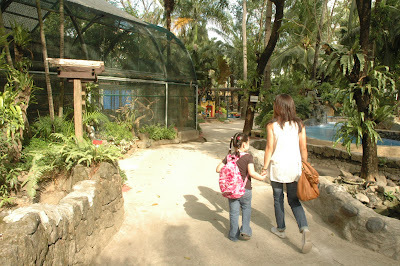 On a happier note, we decided to make a hard left, get away from the crowd, pay a little extra and enter the Kinder Zoo, which is supposedly a new addition to Manila Zoo. To get in the Kinder Zoo, you need to pay an additional P70 per individual. 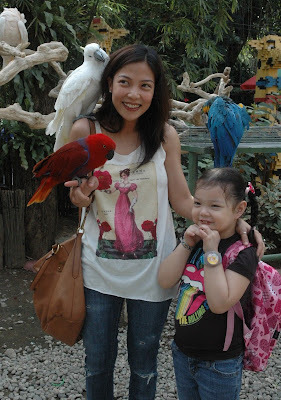 If you plant to visit Manila Zoo, I strongly suggest you enter the Kinder Zoo, this was the highlight of our trip. The Kinder Zoo is a small, interactive zoo created for kids where they can personally handle the animals on exhibit. Zoo handlers in the Kinder Zoo are also extremely courteous and helpful. in Manila Zoo, there is an abundance of Parrots, Monkeys, Turtles and Snakes. Many of them from the same species but in different cages. Moving on to the main zoo and the more political area of this post...if you are an animal lover, the main zoo is greatly depressing. "On July 25, 1959, the Manila Zoological and Botanical Garden opened its doors to the public. 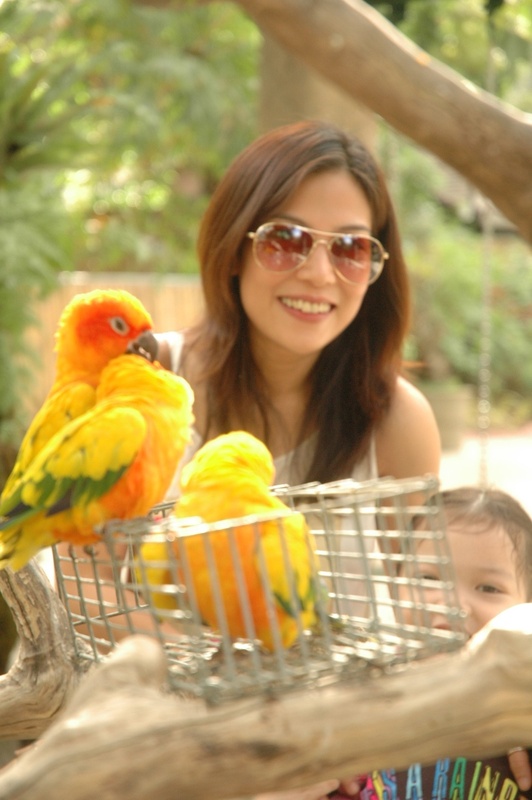 It serves as one of the educational centers in the country where the viewing public can observe, discover and learn interesting facts about the beauty of Philippine fauna and flora. 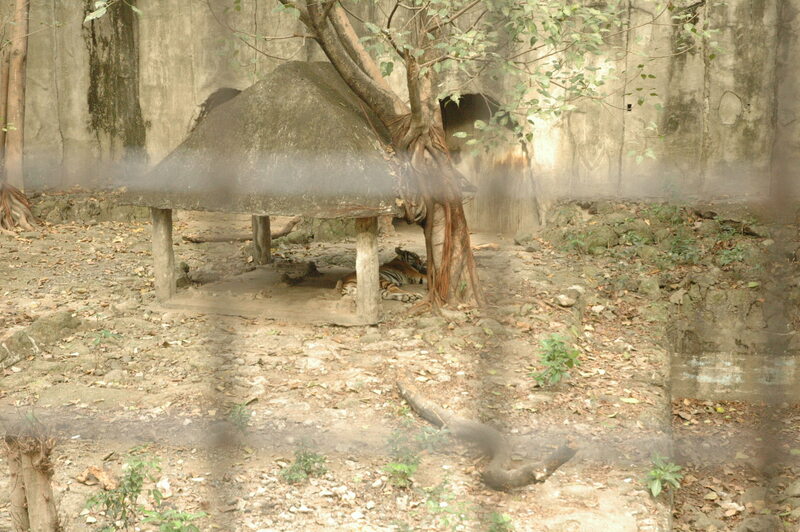 As is the custom in our country, I believe and see that there is great corruption involving our zoo. For a place that is supposedly a "zoological and botanical garden" that will serve as an educational center for our youth, this zoo is certainly lacking in any flora, even humble species present at many home gardens were nowhere to be found. In fact, I didn't even find an area dedicated to plant species. The zoo is terribly dry giving the impression of a great drought. 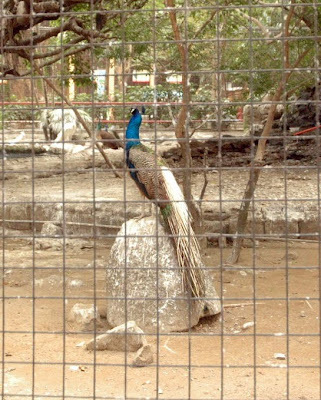 The cages that housed the animals were pitiful and dirty. Half the time, we didn't even know what kind of animal we were looking at for lack of signs. And the entire time, we found ourselves walking around aimlessly, trying to chance upon the cages of animals we would like to see for lack of a clear and updated map of the entire zoo. 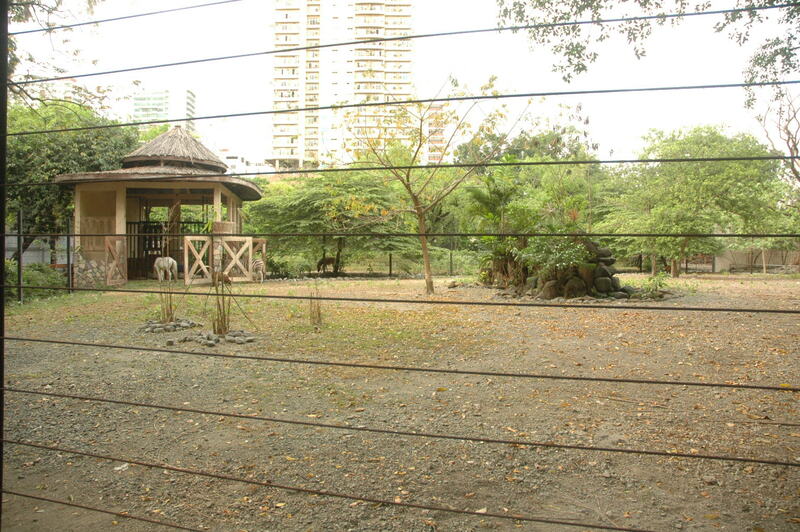 Manila Zoo looks like it was built in 1959, loaded with animals and then left to be forgotten and fend for itself. I cannot reiterate enough how much it is lacking in upkeep and maintenance. I don't believe that money is an issue because I saw the droves of people entering the zoo. 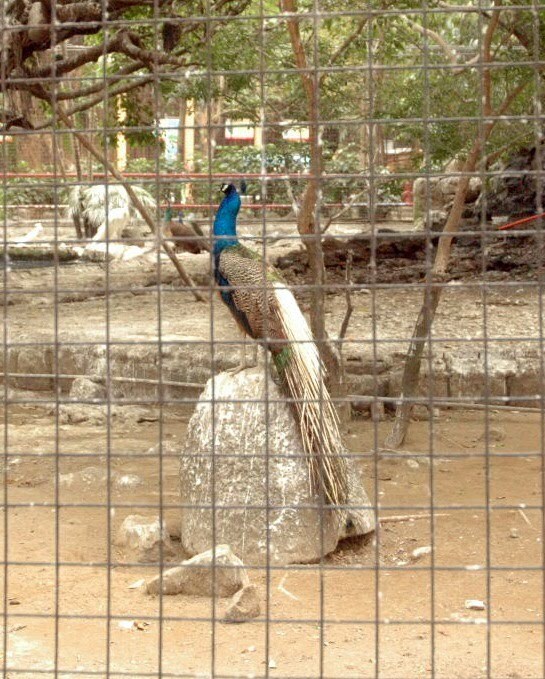 The place is littered with empty and depressing cages. Even the ponds housing some animals are littered with empty juice containers and snack boxes. It is really sad and frustrating to see these animals being forced to live in conditions such as these. If our government cannot afford to maintain our zoo, I'd rather they send all the animals to protected areas/conservatories, and just shut the goddamn zoo down. If anyone from PETA is reading this, please try to do something about it. To the government: you need to educate Filipinos about the importance of taking care of our animals and natural resources. 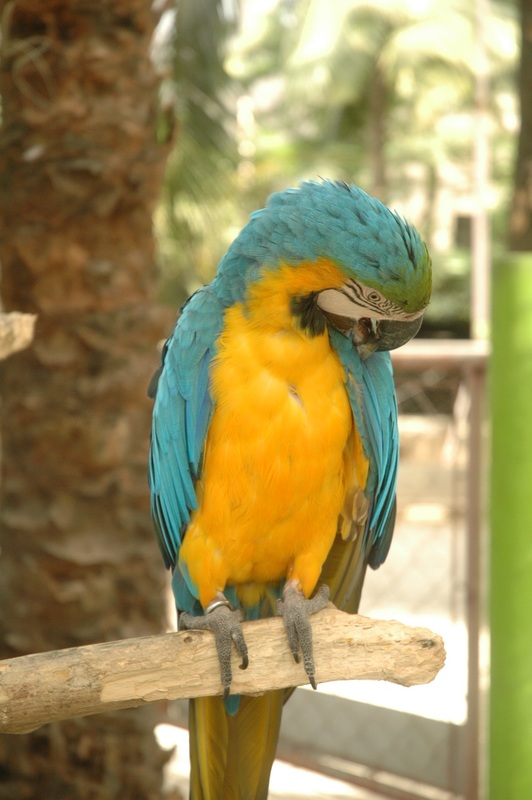 Your zoo is filled with disrespectful, arrogant and ignorant people who see the animals as a side-show and not for the beautiful and wild creatures that they are. 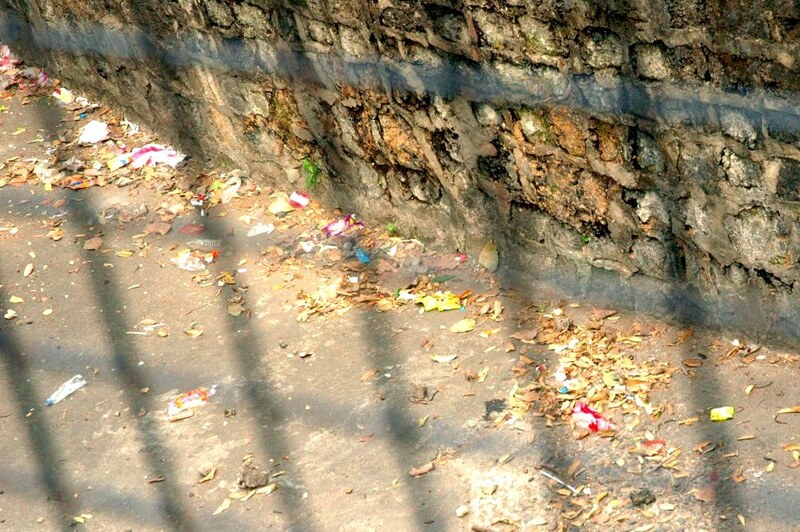 The roads within your zoo is dirtier than the street I live in. Hire a task force to control littering in the zoo. Take care of your goddamn animals. It's not that hard to clean the cages once in awhile and water the plants. No wonder progress is slow to come to our country. How can you improve yourself if you have no respect for others? This very VERY sad. :( I'd willingly pay a few more extra bucks just to give those animals better living areas. To think... the only area worth visiting there is the only one with extra charges. A zoo where you can handle the animals...incredible. I'm very fond of elephants (my totem)! 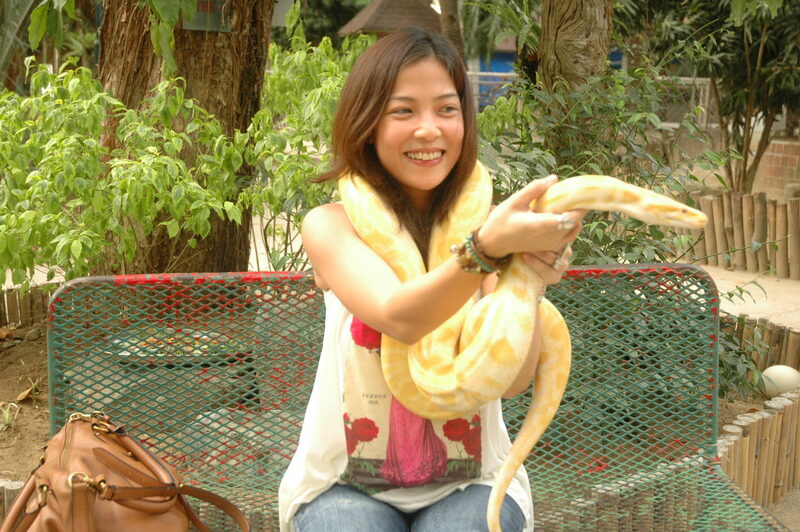 Love the photo of you with the snake. and the beautiful parrots. OMG. I so agree. We went there last month, out of my curiosity (5 years here in Manila and still hasn't gone there! ^^) and the first I saw was the elephant. I almost got into an argument with a bully kid who were throwing sticks at the poor guy. (I asked the kid if he would like me to throw sticks at him too) After touring around for 30 mins, we left, greatly depressed about the conditions of the animals. 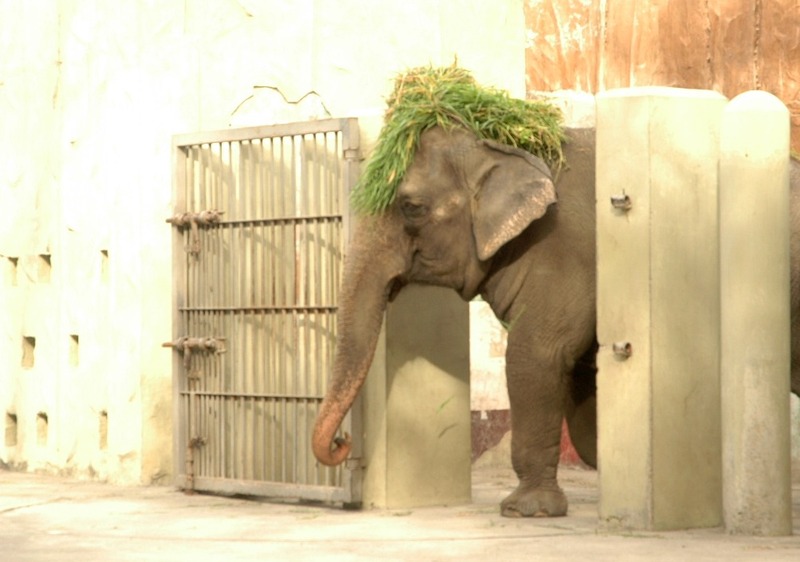 The elephant who likes putting food on his head is adorable! love the idea of the kinder zoo! 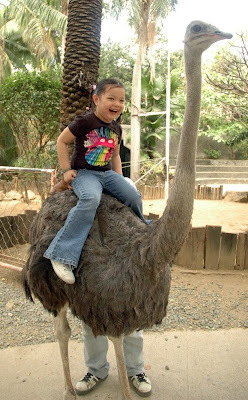 i've been to "petting" zoos, but none that you can actually handle the animals! they really should take better care of the animals and their living conditions. what a fun day...you have the loveliest little girl! I hope that the rest of the animals can get the care that they deserve. Writing a letter to the government might be worth trying? As sad as a life it is for some of the animals, it does look like you had a wonderful time. 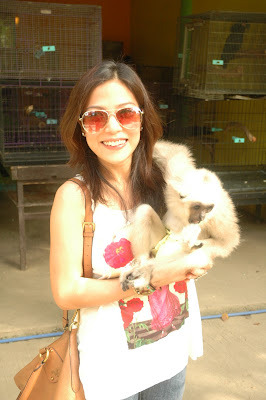 Around here, they barely let you close enough to see the animals let alone handle them. Quite an experience! Lovely photos......looks like you guys really enjoyed yourselves! But you are right.....the creatures in the main zoo can be treated in a better way......are they treated in such a careless manner just because they can't protest??? cute pictures! I haven't been to the zoo in such a long time!